when somene goes into epileptic seizure (fit) just give him an old key to hold it in his hand and this fit will subside , this is what our grandparents used to do and it really works as once you give the patient the key he will get relaxed and the fit will stop , but this has a meanengful explanation whish is while they are looking for an old key the fit will go in its all stages and once they find it usually the fit will be over so when they give him the key he will be getting back to normal ,so the key has no role in here . 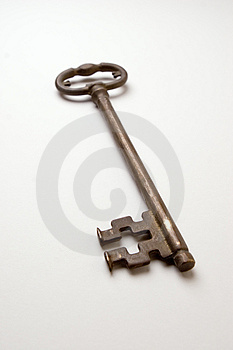 I dont know if somewhere else in the world they use somethign else other than old key which is in libya we call it male key because it lloks like the male sympol . لربما الامر مجرد مسألة نفسية بحتة ، الشعور بالرضى و الراحة و الاطمئنان بمسك المفتاح ، مثلما يمكن ان نخدع العقل البشري في لحظة التنويم المغناطيسي فيستجيب بشكل مذهل. أتذكر في برنامج العلم والايمان للدكتور الراحل مصطفى محمود ان الشخص اذا قالوا له و هو في حالة التنويم المغناطيسي سوف نضع ملعقة ساخنة على جلدك و تم وضع منعلقةعادية باردة فالجسم مباشرة يظن انها ساخنة و تحرق فسيبدو الجسم كأنة محروق ، هذه ردة الفعل التي استجابت بشكل مغاير للواقع هي ربما سبب الظن الشائع هذا. أعتذر ، لقد اسهبت في تذكر شيء و ربطتة بهذا الشيء. وشكرا على إشراكنا في الموضوع. WOW Libyano ... that's something I never heard - and I am a LOT of years in medicine already! Usually 10 mg Diazepam will do ... or simply nothing, just let the seizure take it's course and as long as it won't develop into a "status" ... it's nothing terrible! I just found your blog ... well, good question! I guess through Hala ...and I found Hala's through Abed's ... a bit complicated but I like it this way! Can I invite you to my blog? In case you like soccer ... I am in Munich and cover a bit the events around ... just have a look - you're always MOST WELCOME!! thank you noor for sharing your thoughts . Karine , thank you for visiting my blog and I would love to hear world cup news from your blog . Hamed - just come visiting! You're always MOST WELCOME! !